Kiss, Blush and Tell: Skincare Luxuries: Where To Splurge? 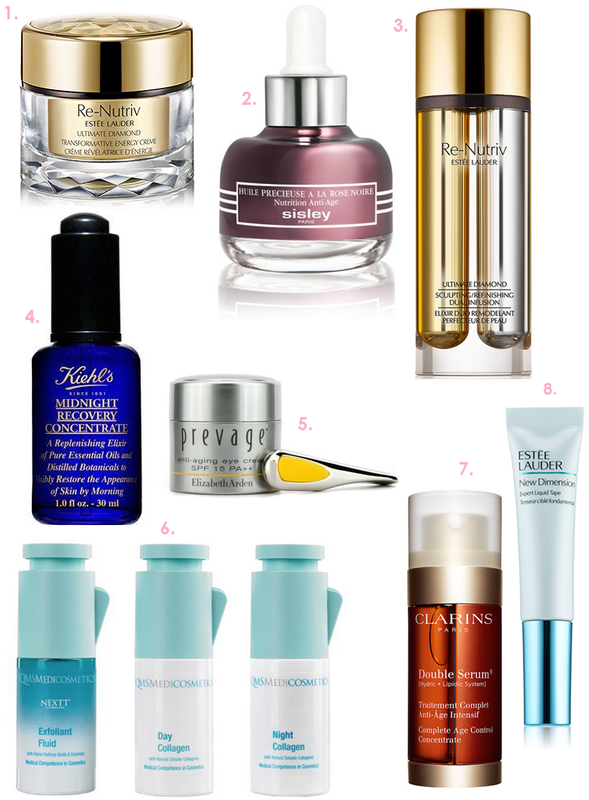 Skincare Luxuries: Where To Splurge? Deciding how much to splurge on your skincare routine is a topic that is rather personal and differs from person to person. The bottom line is that we all want to use products that are as effective and results-driven as possible – price aside. This post is exploring a bunch of products on the market that have a rather hefty price tag (some way more than others), but that all have one thing in common: they are very active and results driven. My feeling is that it is really important to include at least one product in your routine like the below to make sure you are targeting your concerns properly. It’s all good and well to use a range that cleans the skin well, but has no really active ingredients in it – this is never going to lead to change in your skin. Yes – great skin is hugely down to good genes but using an active product that works for your skin can help a huge amount and get you those results you are after. 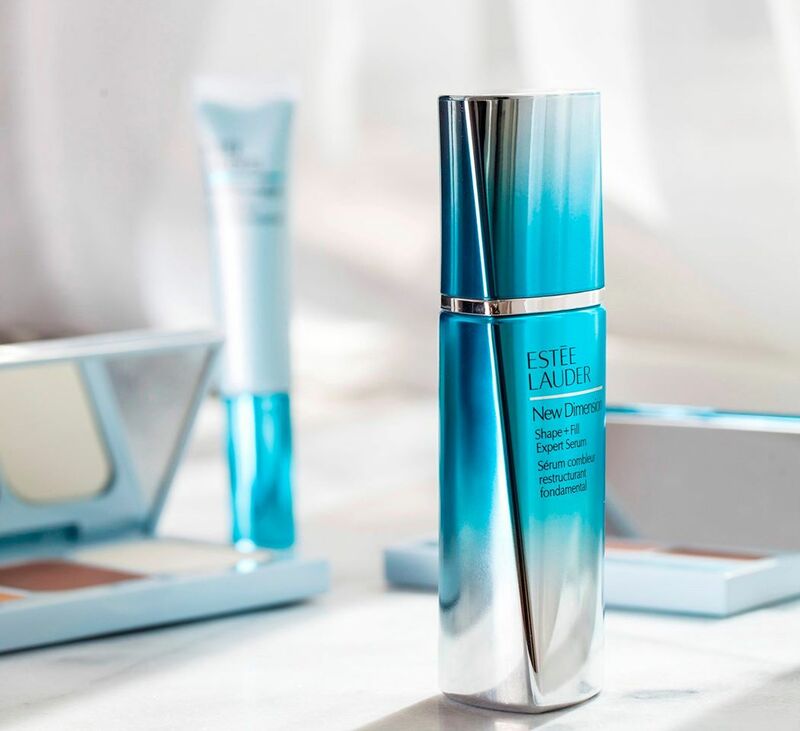 This is the newest launch from Lauder and really is as pricey as it gets when it comes to skincare, but the active ingredients in this moisturiser are of the highest end. The famous ingredient used in this range (also product 3) is the Black Diamond Truffle Oil which has the ability, unlike other ingredients, to get to work in stimulating the skins vitality – keeping cells looking younger, plumper and more energised for longer. The products in the range also contain SIRT youth-sustaining technology which assists in slowing down the ageing process going forward as well as assisting in rejuvenating damage and ageing that has already occurred by energising and repairing cells. The good news about this product is it works as a day and night cream, which in a sense justifies the large price tag. I noticed that any online orders on Lauder are offering samples of this, which is a nice way to test it before the big splurge. See here. You’ve heard me harp on about this beauty before. Goodness, but I adore it. It is pricey, yes. But seriously a little goes a long way and the difference I’ve seen in my hydration levels and skin smoothness have been amazing. I know a few blog readers have also bought this after my reviews and just love it. 1 or 2 drops does the job, so this should last you 8-10 months. Available at selected Edgars stores. This is the serum-like product from the same range as product 1. The dual infusion means that there are two separate vials that dispense the product separately on each pump; this is done to maintain the active ingredients and its potency on application. Both vials contain the famous Black Diamond Truffle Oil with a different combination of ingredients in each to ensure skin rejuvenation and firmer, more plump skin cells. The ingredient detail is quite a mouthful here, but more importantly – does it work? In my opinion, I have most definitely seen improvement in my skins texture (as one would expect with this price tag). I then passed it onto my Mum who is more the targeted age for a product like this and she loved it – the texture is super silky and it absorbs beautifully into the skin. Results wise the skin definitely looked firmer and more plump. In store now and online. This product is not new to Kiss, Blush and Tell but has to be mentioned as it is a more affordable, yet still brilliant facial oil that lives up to it’s cult status. A few drops of this every night will see your skin looking more hydrated, smoother and more even. I absolutely think everyone needs a bottle of MRC in their life! Available at selected Edgars stores. This powerful eye cream is packed with anti-oxidants and provides all the nourishment that the paper-thin skin around the eye area needs so desperately. The products helps fight fine lines and keeps the skin feeling hydrated and nourished all day long. 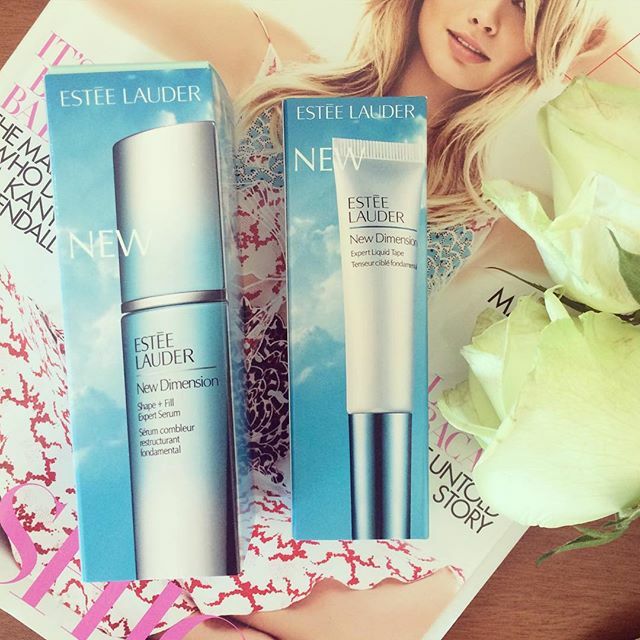 I also love the addition of any spf as the eye area is so super-sensitive and needs all the protection it can get. These three products come in a set to really target loss of collagen and assist with aging. The exfoliating fluid ensures dead skin cells are kept at bay and also means that your products used afterwards really penetrates the skin properly. The day and night collagen are used as prescribed and the results really are quite amazing. I love this set and truly believe it lives up to it’s claims. Another best seller from Clarins and for good reason. This serum has a similar dispenser to the Lauder Dual Infusion; one being more of an oil and the other a serum like formula. The results are super hydrated, smooth skin with less visible fine lines and skin even-ness. I am on bottle number three and it’s always a product I reach for when my skin is looking dull and dehydrated. See online here. This truly is your quick-fix lifting, tightening and contouring solution. I tried this straight away and the results really were instant, which we all love. I have been applying this to the eye/upper cheekbone area as well as the brow bone. It needs to be applied to clean, dry skin and left to dry before completely your routine. It is a great pick-me-up when skin needs that extra bit of TLC. There is also a Shape & Fill Expert Serum in the range that I have been loving for the entire face (see below). This is your answer if you battle with gauntness and lack volume and shape to the face. The skin will look more radiant and the face will look more defined within 2 weeks of using this product. I am unsure of these prices but will update the post as soon as I get the info.